Beltran vs. Young: Who Should Start In RF? 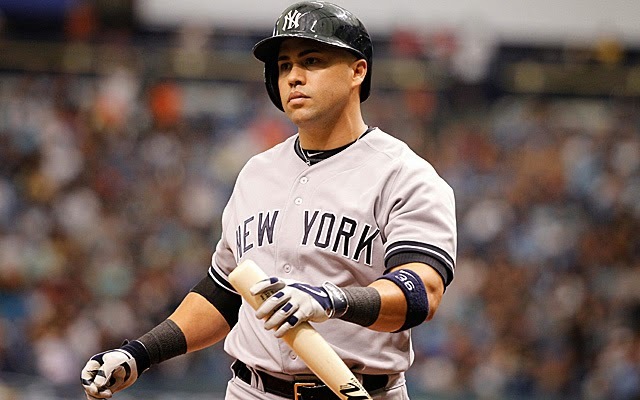 It's no secret I have been very critical of Carlos Beltran ever since his signing with the Yankees. He simply hasn't hit like he should and the fact he never hustles doesn't help either. This year has been no different for the $45 million man as Beltran is hitting a mind numbingly bad .184. 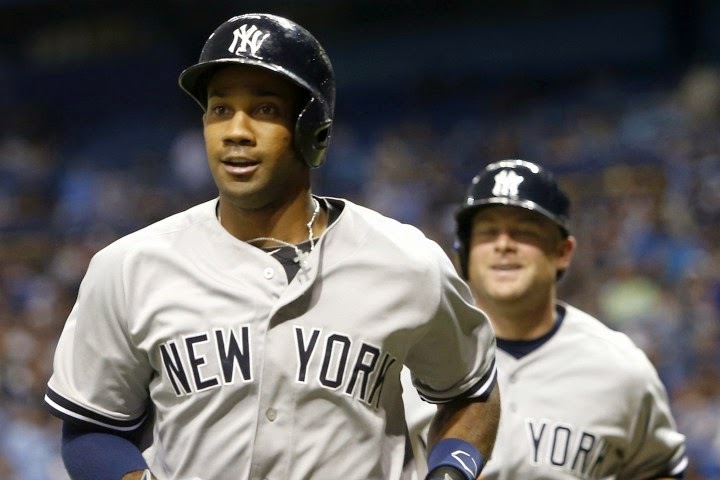 On the flip side, 'back up' outfielder Chris Young has been mashing the ball at a rate that can no longer be ignored. After finishing up the series with the Tigers today, Chris Young is batting .357 with four homers, nine RBIs, and five doubles. He's also sporting an OPS of 1.258. In other words, Young is putting up very solid numbers for a guy who is supposedly a back up. Back to Beltran, the right fielder has no homers, seven RBIs, and four two baggers. He's struck out 15 times in 49 at bats good for a strikeout percentage of about 30%. Some might try and argue Young's numbers come in a very small sample size, but he has had 42 at bats compared to Beltran's 49, with a difference of only seven, so that argument really has no validity here. The fact of the matter is Young is putting up star numbers in less opportunities while hitting lower in the lineup than Beltran and it's hard to ignore this. Beltran's struggles really culminated today, as he struck out three time against the Tigers, two of those times stranding a runner on third. He could've had a fourth one had he not been intentionally walked to set up a double play. The problem with Beltran isn't health. He's perfectly healthy now, so any excuses for his elbows hurting aren't valid any more. I've said it before and I'll say it again: He's just overmatched at the plate. Maybe it's his old age effecting bat speed or maybe he just hasn't gotten his timing down yet, but Beltran just looks lost at the plate. He can't catch up on fastballs and he's swinging at pitches way out of the zone. Coupled with an OBP of .240 (it will be less tonight when all MLB statistics are updated), you can see Beltran really isn't doing a single thing to produce for the Bombers. Meanwhile, Chris Young's hot streak is no coincidence. When he first broke into the league with the Diamondbacks he hit 15 home runs five straight years, topping 20 four times. He's been a power run producer and despite a couple down years recently, he really appears as if he's back to his old self in pinstripes. Not to mention he's only going to cost the club $2.5 million this year. His average will likely dip, but as long as he's in the lineup, Chris Young is going to hit balls hard and produce power alongside Mark Teixeira and Arod. 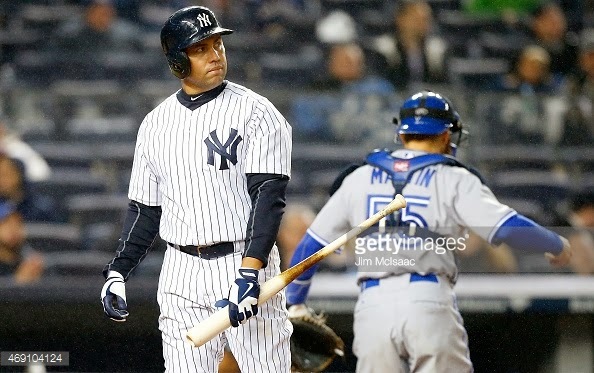 I wholeheartedly believe that Beltran should be replaced in right field by Chris Young in right field or at the very least moved out of the cleanup hole because he is hurting the team by failing to drive in runs despite many opportunities to do so. The problem is the team likely won't remove Beltran from an every day role to make him a $15 million bench player, even if that's what should be done. No matter what, the Yankees will have to pay Beltran, but it might be more productive for the team to DFA him rather than allow him to continue to squander run scoring opportunities. I'm not crazy when I suggest this either, as the team did the same thing with a scuffling Alfonso Soriano last year. With Beltran DFA'd major league ready Ramon Flores could be called up to fill the outfield bench spot while Chris Young takes a starting role in RF. This to me is a win-win: You let the hot hitting Chris Young continue to mash and give a young, talented player a chance to prove himself. You can swap around Headley, Young, and McCann as you please. If I'm being realistic however, I have my doubts this will happen. The Yankees have a lot of money invested in Beltran and it's hard to envision them admitting their mistake and just eating that money. Chris Young certainly should be starting over Carlos Beltran, but look for Joe Girardi to continue to have to find creative ways to plug Young in and give him those at bats.